Underwater life is another extremely popular theme. From keeping a fish tank to playing underwater themed games, we love to behold the beautiful marine life. As there are hundreds of fabulous slot machines with the theme we decided to select the best 5 out of them for reference of our players. MoneyReels staff selected the most popular slot machines, played them for long durations, and analysed data in order to select the best out of them. Rewards, entertainment, and graphics were some of the many factors considered. Player opinions also played a big part in compiling this list of top 5 underwater UK slots to play on MoneyReels. 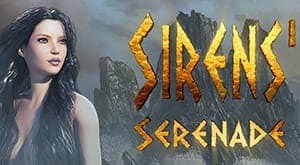 Hunt the undersea treasure while getting help from the Sirens, dolphins, or Poseidon the God of Wild Sea himself in this slot machine inspired by Greek mythology. You can win 20 Free Spins which can be retriggered, and the Wild Feature comes with Wild symbols thrown on the reels by the God himself. 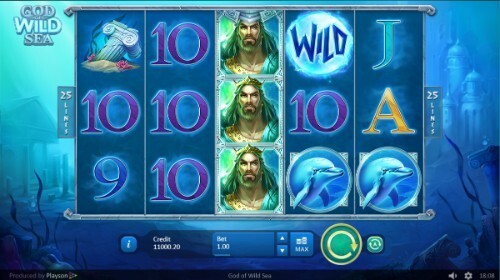 God of Wild Sea slot has 5 reels and 25 paylines, and the minimum and maximum bets are £0.25 and £100 respectively. This is one of the best underwater slots available online. There are 5 reels and 3 rows of colourful underwater symbols and 20 paylines. The RTP is a generous 96.8% which would definitely help you to keep your head above water whatever your stake is, and most probably you will surface with huge treasures to take home. There is a maximum win of 50,000 coins but there are many more sizable prizes. Free Spins, Extra Free Spins, Multipliers, Stacked symbols, and Random Wilds are among the fabulous features of the Golden Fish Tank Slot. This is one of the best underwater slots to play online. 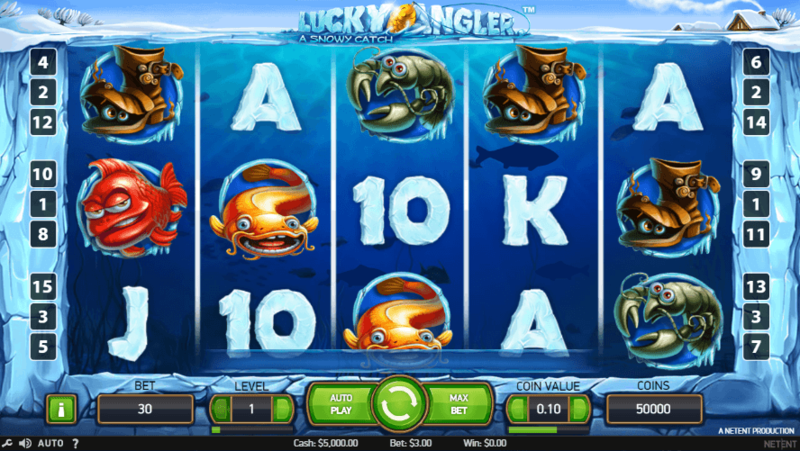 A colourful slot machine designed with care, Lucky Angler slot game incorporates an RTP of 96.4% and 15 paylines. Minimum and maximum bets are £0.30 and £150 respectively. The top value symbol carries a maximum prize of 2000 coins while the Scatter awards you up to 20 Free Spins which can be retriggered during Free Spins too. Appearing on reels 2 and 4, the Sticky Wild ensures that you will be rewarded big when the Wild matters. This game has a 5x3 layout and 25 fixed paylines. The RTP is 95.1% which is average by today’s standards but the features are what lifts this game on to greatness. Seahorse Race is one fabulous feature where the winning horses will be awarded up to a 100x multiplier. Even the 5th place takes a generous 10x. Clam Pick is another great feature in which you could pick clams with up to 40x multipliers in them. And there are Free Spins too. If you find a Black Clam in the Free Games then you will get a multiplier there again. If all that is not enough you can hit the Gamble button to double it all if you are confident. 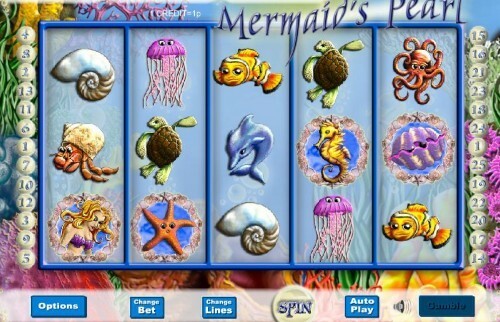 Mermaid’s Pearl Slot is a feature filled game that deserves a place in the top 5 underwater slots to play on MoneyReels. These Greek sea nymphs will mesmerise you, this time with prizes not music, if you sail past their island. The RTP of 96.1% would attract you there while the prizes and features keep you for one more spin. There are up to 36 Free Spins to add value to your money. The Sticky Wild expands outwards in the second spin creating better winning combinations. The Regular Wild would appear on the top of the reels and expands to the whole reel substituting all symbols except the Scatter. 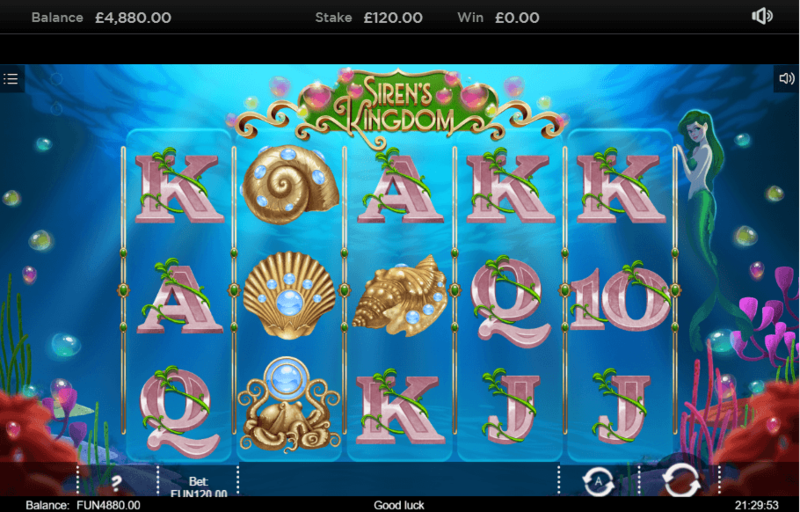 You can bet from £0.30 to £150 to get rewarded by the Siren’s Kingdom online slot.